all digital, HD flexo. one iteration, increased productivity, unmatched integrity. GEI firmly believes the elimination of previous analog techniques has dramatically increased the bar for expected outcome and performance. And if it hasn’t raised your bar, it certainly should. With one generation, there are no longer frustrating discrepancies inherent between file, film, and plate. Simply; digital means the removal of variance between the steps of the process, increased accuracy on the dot level, and significantly increased end print results. Coupled with Esko’s 4,000 DPI HD Flexo Screening, which allows for complete drop off to white, our plate manufacture represents technology second-to-none. Our thermally processed plates improve access times, thus reducing your down–time. From start to finish, plates can be manufactured in many cases in under an hour. On the sustainability front, our thermal plates are environmentally sensitive – the Cyrel FAST is solvent and chemical–free, and provides safe recapture of waste polymer. DuPont Cyrel®FAST enables rapid plate manufacture. The introduction of the thermally processed Cyrel®FAST line of Flexographic plates reduced access time for a fully finished plate to under an hour while eliminating costly, time-consuming and hazardous solvents from the process. This all digital approach has matured flexography to compete directly with offset lithography and rotogravure. 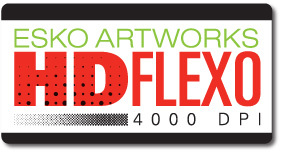 With less expensive materials and manufacturing costs, digital flexography is the ever expanding future of print.